Juniper Networks announced the commercial launch of its Contrail software-defined networking (SDN) solution for enterprise data centers and Service Provider networks. Juniper is pricing SDN on a "per socket" basis, where a socket is defined as a physical Intel CPU on a server. Juniper is offering both a perpetual and subscription software license. Perpetual license is priced at US$1,700 per socket and one year subscription license at US$1,000 per socket. Juniper said it has trials underway with more than 40 global customers. The first two purchase orders have been received. 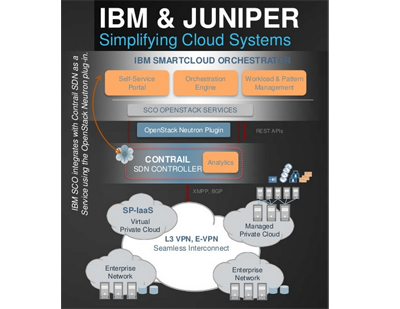 Juniper announced a special alliance with IBM to integrate Contrail with IBM's SmartCloud Orchestrator. In addition, Juniper is unveiling new technology development partnerships, including Cedexis, Check Point Software Technologies, Citrix, Cloudscaling, Dorado Software, Flash Networks, Gencore Systems, Gigamon, Guavus, ISC8, Lumeta, Mirantis, Red Hat, RiverBed, Sandvine, SevOne, Silver Peak, Sonus Networks, and Websense. 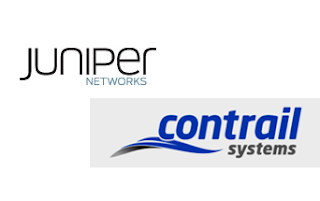 In a related announcement, Juniper Networks today introduced OpenContrail, an open source software platform that makes the core software powering Contrail available through an open source license. (see below). Juniper is enabling the SDN virtualization with existing protocols, including BGP, thereby enabling the existing routing and switching infrastructure to participate in the SDN transformation. Juniper will adopt the OpenStack model as its primary orchestration system and will work with others including VMware and IBM. Juniper is introducing a new software licensing and maintenance model that allows the transfer of software licenses between Juniper devices and industry-standard x86 servers. In December 2012, Juniper Networks acquired Contrail Systems, a start-up developing software defined networking (SDN) solutions for approximately $176 million in cash and stock. Contrail Systems, which was based in Santa Clara, California, was founded in early 2012 is still in stealth mode. No products had been announced at the time of the acquisition. 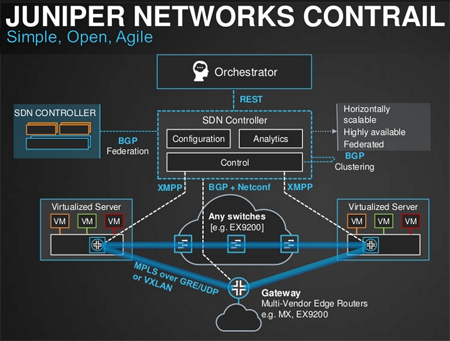 Juniper said the acquisition brings an SDN architectural approach that augments its portfolio of products and services. Contrail Systems was headed by Ankur Singla (CEO), who previously served as Chief Technology Officer and VP of Engineering at Aruba Networks. The Contrail team included Dr. Kireeti Kompella (CTO), who was formerly CTO and Chief Architect, JunOS at Juniper; Pedro Marques,previously a developer of control applications for the Cluster Management Team at Google and before that a distinguished engineer at Cisco and Juniper; Harshad Nakil, previously at Aruba Fellow and also distinguished engineer at Juniper and Cisco; and others. Juniper was a strategic investor in Contrail. Khosla Ventures was also an investor. Juniper Networks introduced OpenContrail, a new initiative that makes the source code library for its Contrail SDN solution available through an open source license. OpenContrail will provide all the components necessary to run a data-center overlay including an SDN controller, virtual router, orchestration API, analytics and management console. The use of OpenContrail is available today via an Apache 2.0 License. The company said it decided to offer an open source version of its SDN system due to customer interest in open source and the desire to boost innovation in the industry. 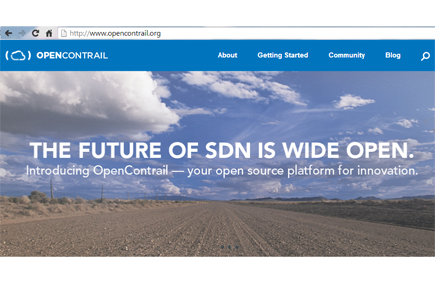 OpenContrail gives developers the opportunity to innovate, adopt and experiment with SDN technology that seamlessly integrates with existing network infrastructures. Juniper also plans to work with IBM to submit the OpenContrail source code to OpenDaylight. The paid version of Contrail is backed by the company's full support resources. 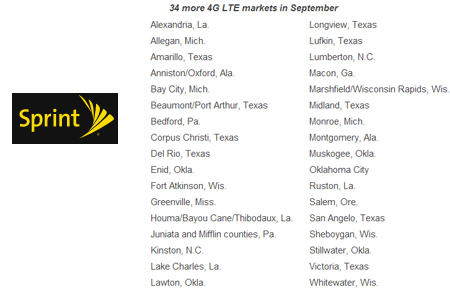 Sprint activated LTE service in 34 more markets. With this announcement, Sprint now provides LTE service in 185 markets nationwide and is aiming to provide LTE to 200 million people by the end of 2013. "Today’s announcement means that even more Sprint customers can enjoy the speed and power of Sprint 4G LTE – up to 10 times faster than 3G,” said Bob Azzi, senior vice president-Network, Sprint. “Our nationwide network build includes new 3G and 4G LTE, which provides improved wireless service and also provides new, state-of-the-art, compact and energy-efficient multimodal equipment." Customers of Sprint’s industry-leading prepaid brands, Virgin Mobile USA and Boost Mobile, also benefit from the new network and expanded 4G LTE service. 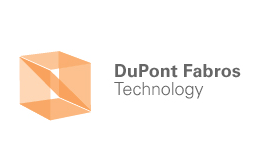 DuPont Fabros Technology, which operates enterprise-class, carrier-neutral, large multi-tenanted wholesale data centers, closed on a $195 million senior unsecured term loan. The load bears interest at LIBOR plus 1.75% and matures on February 15, 2019, with no extension option. DuPont Fabros' ten data centers are located in four major U.S. markets, which total 2.5 million gross square feet and 218 megawatts of available critical load to power the servers and computing equipment of its customers. Z-Com, a leading global wireless solution provider based in Nanjing, China, has selected Radisys’ TOTALeNodeB small cell software solution to enable its small cell LTE-TDD (Time Division Duplex) network deployments in China. Radisys’ TOTALeNodeB will be used for ultra-low cost and low power, high performance enterprise domain small cells provisioned by mobile operators serving dense urban environments. Z-Com will roll out LTE-TDD trial deployments in the first half of 2014 for Chinese mobile operator, CMCC. The initial focus will be on the Enterprise small cell market, supporting 32-64 users. Radisys said mobile operators in China are turning to LTE-TDD small cell technology to alleviate the strain on their networks. LTE-TDD leverages unpaired spectrum allowing downlink (DL) and uplink (UL) traffic to travel in both directions on the same frequency band. As most mobile users download content rather than upload content, Radisys’ LTE-TDD small cell solution provides a cost effective approach for operators to add capacity to congested areas and make more efficient use of their available spectrum. ADVA Optical Networking, in partnership with IBM and Maris College, demonstrated a virtualized optical transmission network using Software-Defined Networking (SDN) and OpenFlow-based control. The idea is to extend virtualization to the physical network that interconnects data centers. 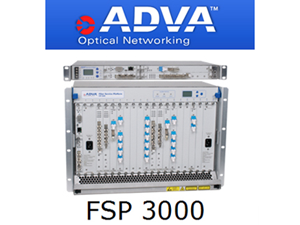 In the SDN demonstration, which took place at Marist College in New York, three geographically diverse data centers with switching, server and storage technology from IBM were interconnected by a fully reconfigurable and OpenFlow-enabled optical network based upon the ADVA FSP 3000. An open-source SDN application, developed by Marist College, dynamically provisions the optical circuits and monitors, manages and manipulates (create, modify, delete) end-to-end flows across all layers of the network. In the first stage of the project, a web interface running on an open sourced OpenFlow controller was developed to enable on-the-fly provisioning as well as downloading of pre-defined traffic profiles to quickly reconfigure optical traffic patterns. In a second stage, the OpenFlow-enabled Layer 2 switching fabric from IBM was added to the network highlighting full network virtualization across both Layers 1 and 2. In the final stage, the fully automated movement of Virtual Machines (VMs) between data centers was achieved in response to alarms triggered by VM monitoring software, including the provisioning of completely new optical circuits, thus demonstrating how relevant data center applications can benefit from a virtualized network approach. Splunk, which provides software for real-time operational intelligence, agreed to acquire BugSense, a start-up providing an analytics solution for machine data generated by mobile devices. Financial terms were not disclosed. Founded in 2011, BugSense provides developers and users rich analytics across a wide variety of use cases including mobile app performance, app quality, troubleshooting and usage based on data from mobile devices. BugSense supports all major mobile platforms, including Android, iOS and Windows Phone, via its mobile software development kits (SDKs). Today, BugSense enables users to analyze data from hundreds of millions of mobile devices through a highly scalable cloud platform. Splunk software enables organizations to monitor, search, analyze, visualize and act on massive streams of real-time and historical machine data. Oclaro reported revenues of $136.1 million for its fourth quarter of fiscal 2013, compared with revenues of $141.6 million in the third quarter of fiscal 2013. GAAP gross margin was 9% for the fourth quarter of fiscal 2013, compared with a GAAP gross margin of 9% in the third quarter of fiscal 2013. GAAP operating loss was $44.1 million for the fourth quarter of fiscal 2013, which included $18.9 million of flood-related income, net of expenses, due to the flooding in Thailand, and an impairment of goodwill and intangible assets of $26.7 million. This compares with a GAAP operating loss of $27.4 million in the third quarter of fiscal 2013, which included $11.5 million of flood-related income, net of expenses, due to the flooding in Thailand. Last week, Oclaro announced the sale of its Oclaro Switzerland GmbH subsidiary and associated laser diodes business to II-VI Incorporated in a transaction valued at $115 million. In addition, II-VI acquired an exclusive option to purchase Oclaro's optical amplifier and micro-optics business for $88 million in cash. "While our fiscal fourth quarter results were in line with our expectations, the continued losses underscore the urgency of our turnaround plans. We remain focused on transforming Oclaro into a sustainable company that will deliver shareholder value over the long-term," said Greg Dougherty, CEO, Oclaro. "Our successful sale of the Zurich Business demonstrates to our employees, customers and suppliers that we are taking deliberate action to create a stable future. With the resulting infusion of cash, we can now begin to take the necessary steps to begin to restructure the company. 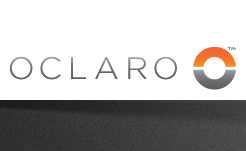 Our goal will be to focus Oclaro primarily on the optical communications market, and leverage our photonics innovation, vertical integration, and long-term customer relationships to return Oclaro to profitability." Polatis, in partnership with the High Performance Networks Group at the University of Bristol, will host a live demonstration of a hybrid packet/optical circuit switched software-defined network (SDN) at next week's European Conference on Optical Communication (ECOC) in London. The demo will showcase hybrid packet-optical circuit switching architectures for dynamic management of large flows in data center applications such as virtual machine migration. Polatis said its series 6000 optical cross-connect offers an embedded OpenFlow interface, enabling seamless integration with SDN control planes. The Polatis Series 6000 OCS adds transparent, flexible, dark fibre connectivity for up to 192x192 fibre ports with less than 1dB typical loss and negligible impact on transmission budgets. "We are excited about the close collaboration with the University of Bristol, which has allowed us to accelerate our technology developments to support the emerging SDN market," said Gerald Wesel, CEO Polatis, Inc. "Our customer response to the Series 6000 in the last twelve months has been phenomenal. 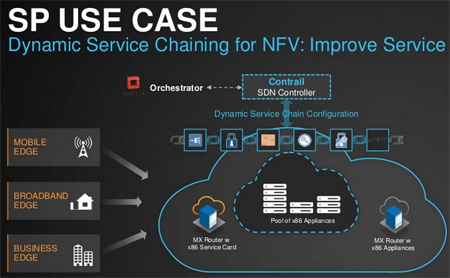 The addition of SDN support across our full product range brings dynamic optical layer connectivity with outstanding performance to the software-defined datacentre". "Unified software control of the physical layer is a key requirement for next generation networks", said Professor Dimitra Simeonidou, Head of the High Performance Networks Group at the University of Bristol. "Adding SDN support to Polatis optical circuit switches brings dynamic reconfigurability to optical systems and enables us to explore new programmable architectures for efficient, high capacity, telecom and datacentre networks." OpenFlow is an emerging standard for SDN which can be used to control optical circuit switch (OCS) elements for applications such as router bypass for high capacity data centres, management of dark fibre network connectivity and advanced colourless, directionless and contention-less architectures. ZTE announced a flexible reconfigurable terabit router for high-performance broadband networks. The terabit router, which uses a custom chipset developed in-house, is designed to support a variety of line cards ranging from 10G up to 1 Tbps. The router's modular design will enable it to scale from 200G to 18T of total throughput. 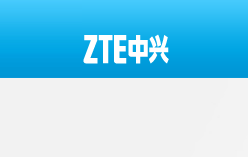 ZTE said its platform will achieve leading power-consumption performance of 0.8W/Gbps. Belgacom reported a digital intrusion in the company’s internal IT system. There has been no impacts on customers or their data. Belgacom said it has all appropriate actions to protect the integrity of its IT system and to further reinforce the prevention against possible incidents. The company is looking to Belgium's Federal Prosecutor to pursue the investigation. Belgacom did not say who it believes is behind the intrusion.